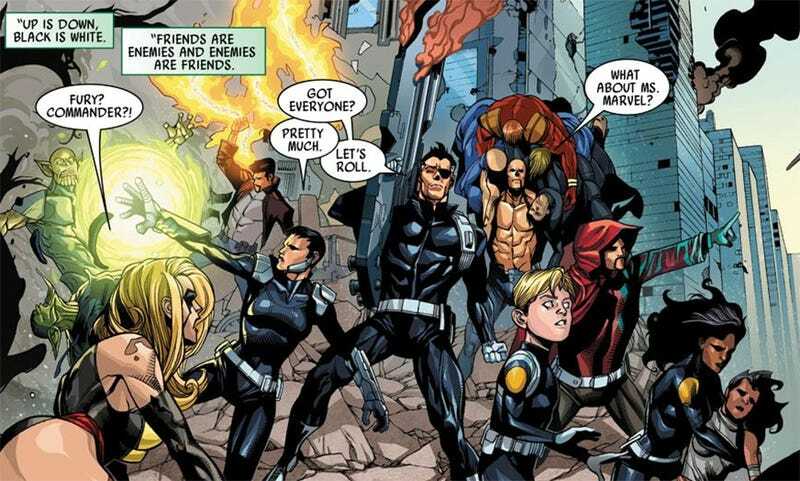 The newest Agents of SHIELD’s out, so that means more comic book connections must be made! While I liked the episode and appreciated all the new characters, this really wasn’t a very new-viewer friendly episode, was it? Also, that image up top, I had to crop it from this actual panel from Secret Invasion #4 - what the heck, Yu? Reminder: Monomythic is on Facebook and Twitter now, so, like, whatever, you know?